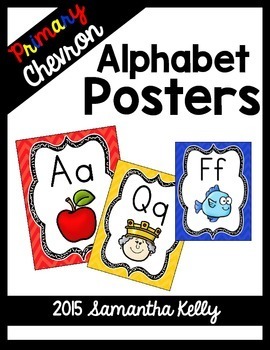 Alphabet Posters: Letter Posters for your PreK-1 room! 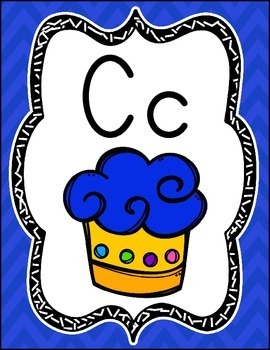 This Chevron theme in primary colors is fun and adorable for your little learners! 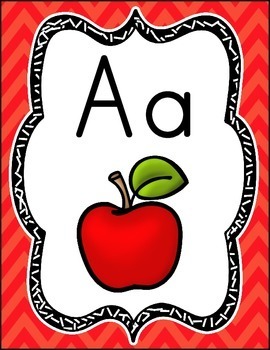 Each letter of the alphabet is written in Uppercase and Lowercase and represented by one image. 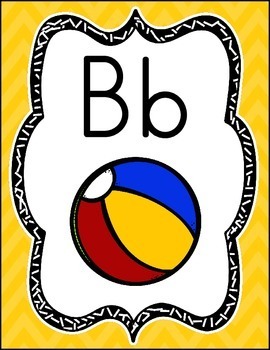 Vowels are represented by their short sound only.